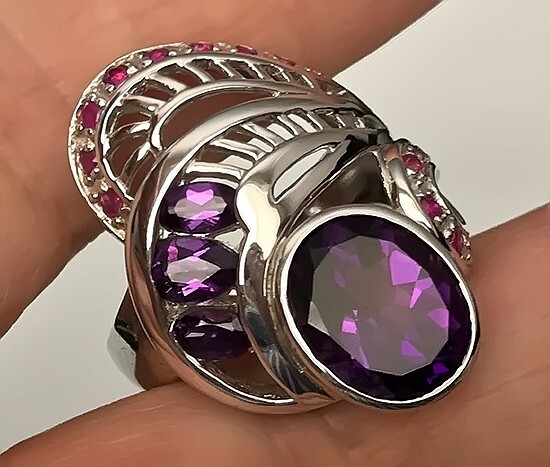 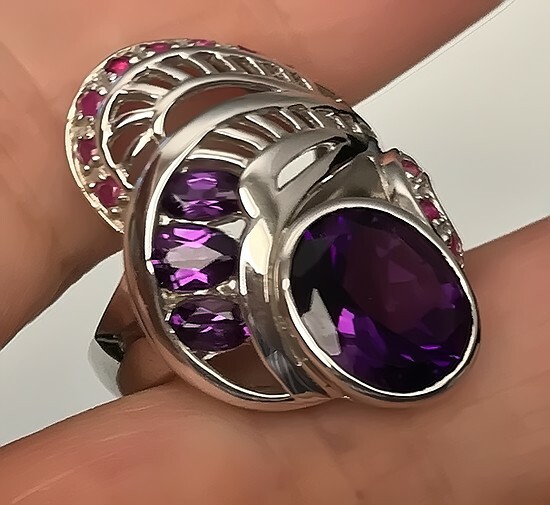 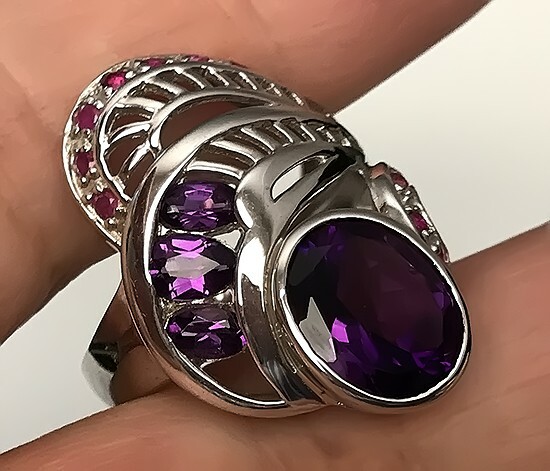 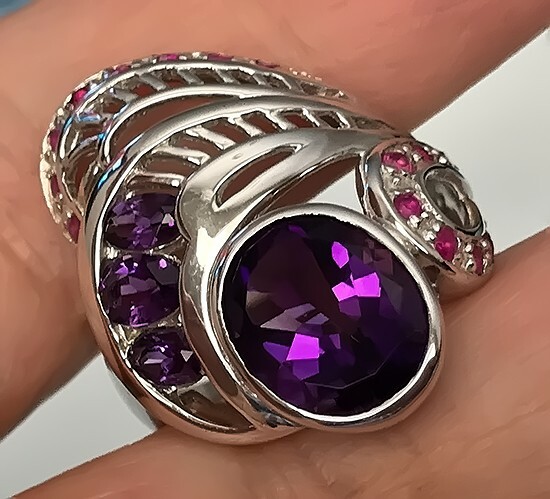 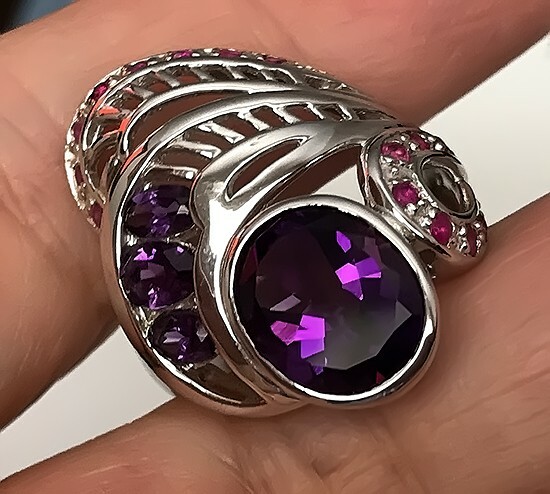 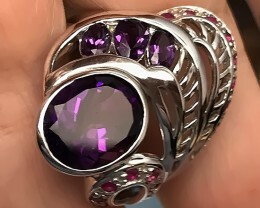 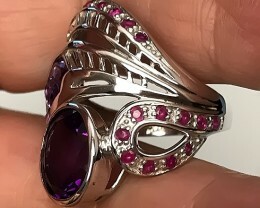 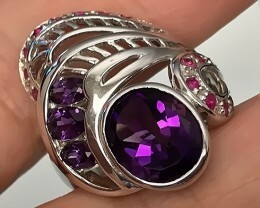 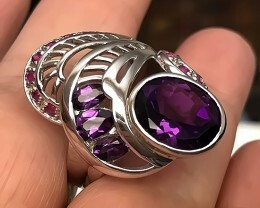 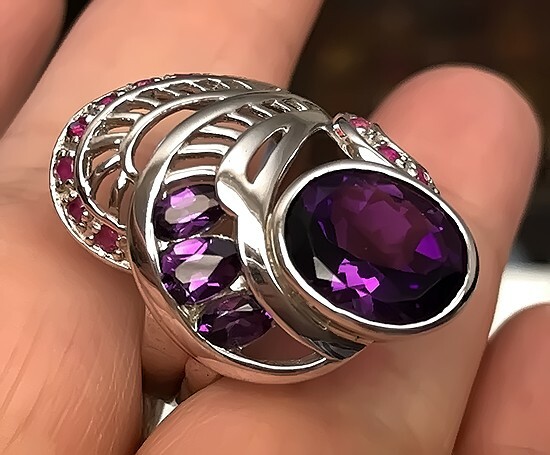 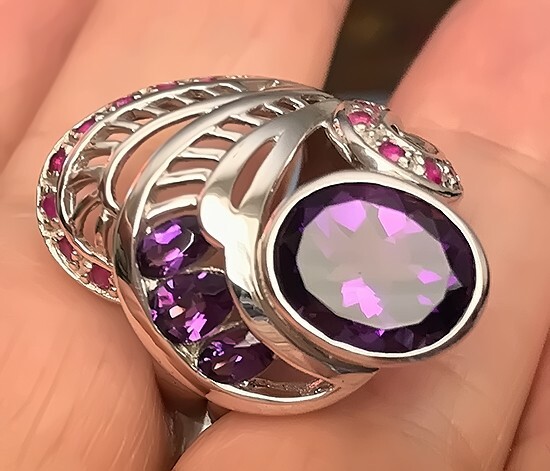 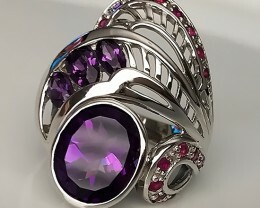 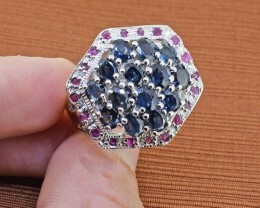 A designer ring ~ a fabulous no reserve auction! 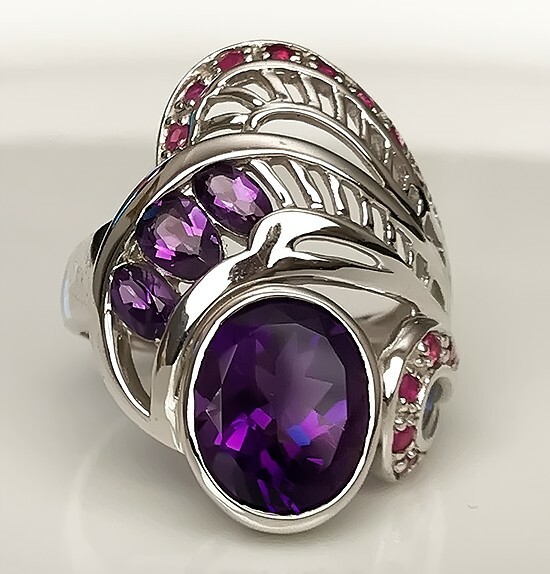 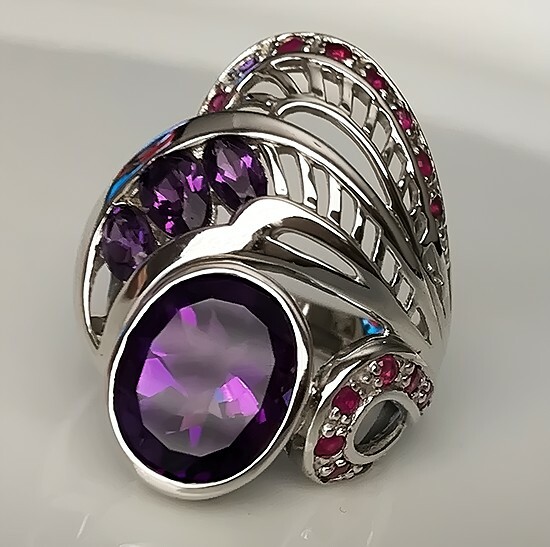 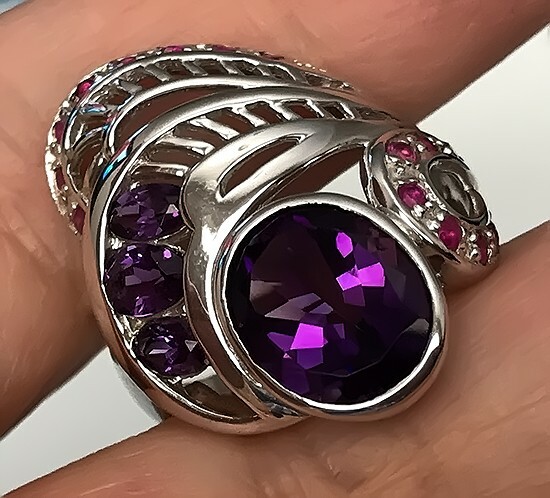 Comments:~ Featuring rich violet Amethyst gems with accent Rubies! 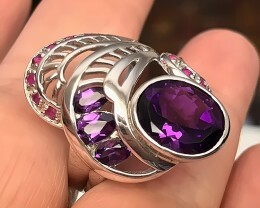 Solid Sterling Silver .925 that has a coating of 14kt White Gold. 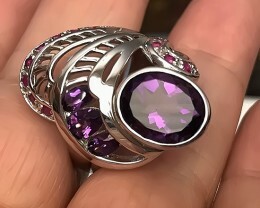 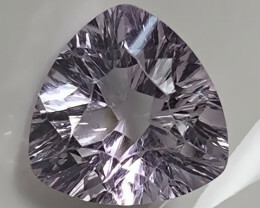 Brand new with a total weight of 38.00cts. 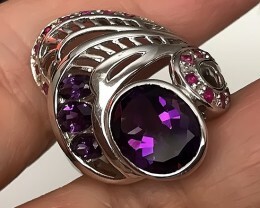 Please note: Shipping for this item is more expensive as it costs (out of Australia) a minimum of $15 to send (unregistered).If you are wanting your item signed for or trackable please pay the Express option which is $25. 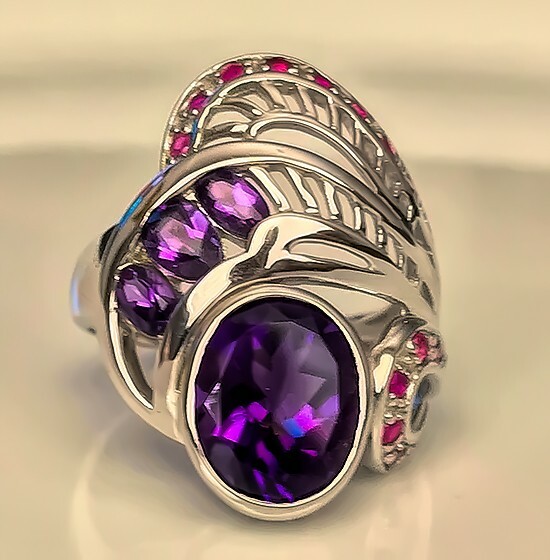 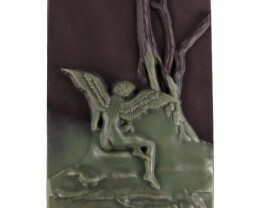 The listing here is impossible to change in the postage details in checkout to reflect this. 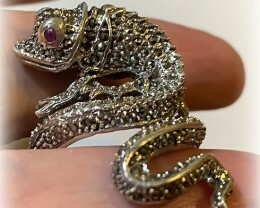 If you are wanting Express and to pay for Express, please request it at the time of payment and I can invoice you accordingly. 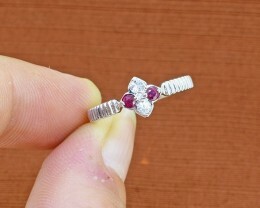 You are welcome to combine post to save money on costs. 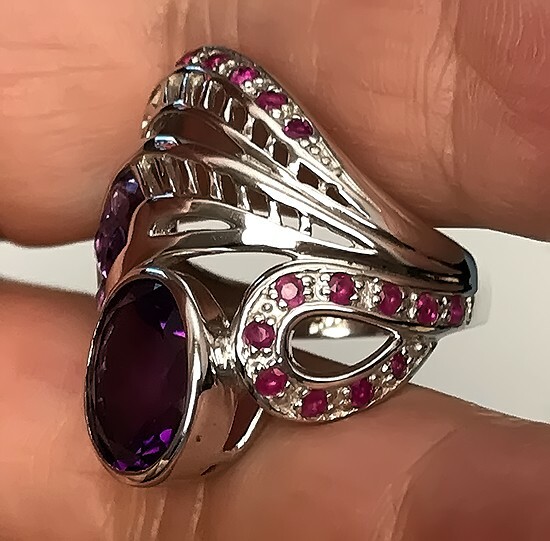 Some information about our jewellery: Our beautiful gems are sourced all around the world to make up these pieces and often the jeweller has chosen what he has available - the stones may have inclusions or a few may have imperfections and also the artistry (particularly the hand made works) may have all kinds of surfaces and finishes worked in the Silver and Gold. 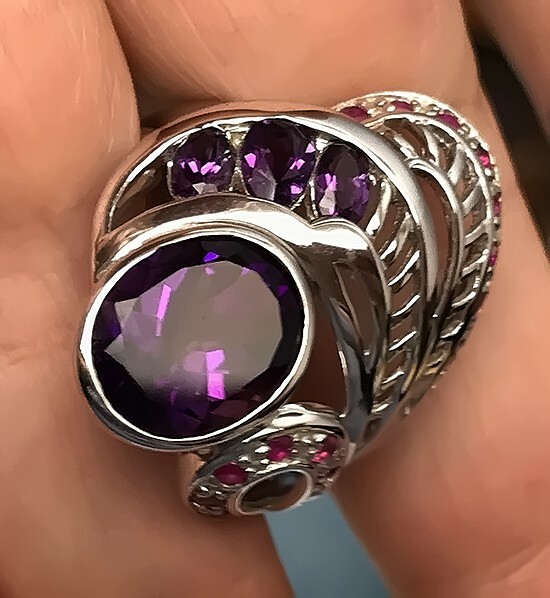 Essentially, we look for such pieces as inspire the imagination and the eye, rustic, intuitive, earthy, glamorous ... we love jewellery of all kinds! 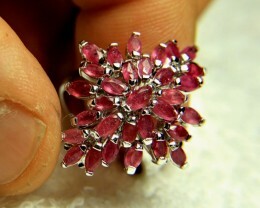 And, importantly, most of what is offered here is a ‘one of a kind’. 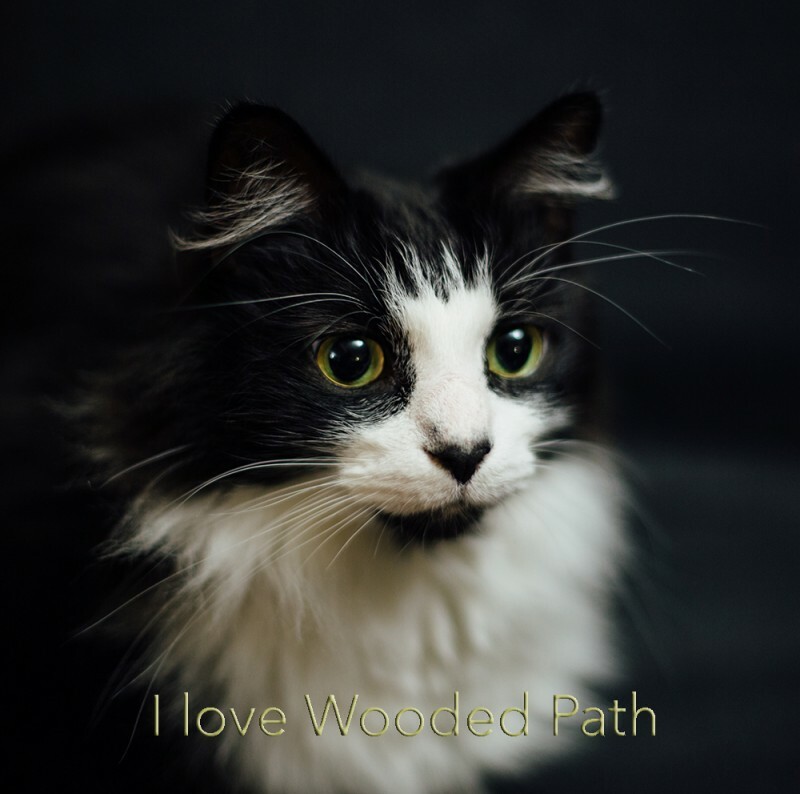 Wooded Path is staffed from Monday to Friday during business hours (AEST) and will always try to respond to questions within 24 hours. 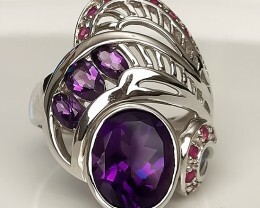 We dispatch parcels Mondays, Wednesdays & Fridays - excluding holidays. 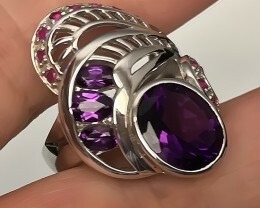 Deep color and contemporary.. Love it! 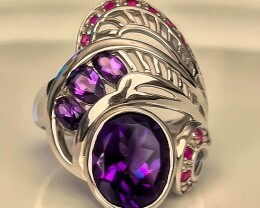 Thank you very much for the awesome service and beautiful gem!!! 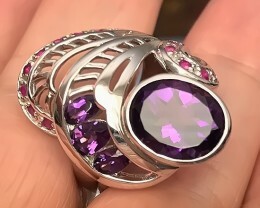 Will buy again from Gaby! 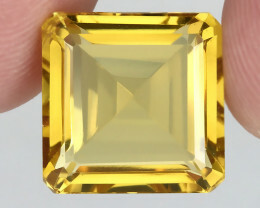 positive ⭐ 17.40ct BRIGHT GOLDEN YELLOW TONED CITRINE - no reserve! 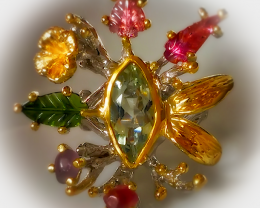 Nice golden flashy citrine. 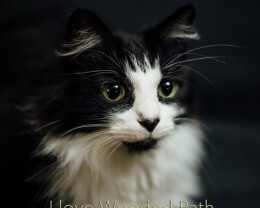 Thanks Woodedpath ! 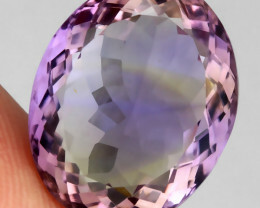 Beautiful ametrine. 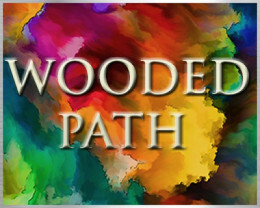 Thanks Woodedpath !